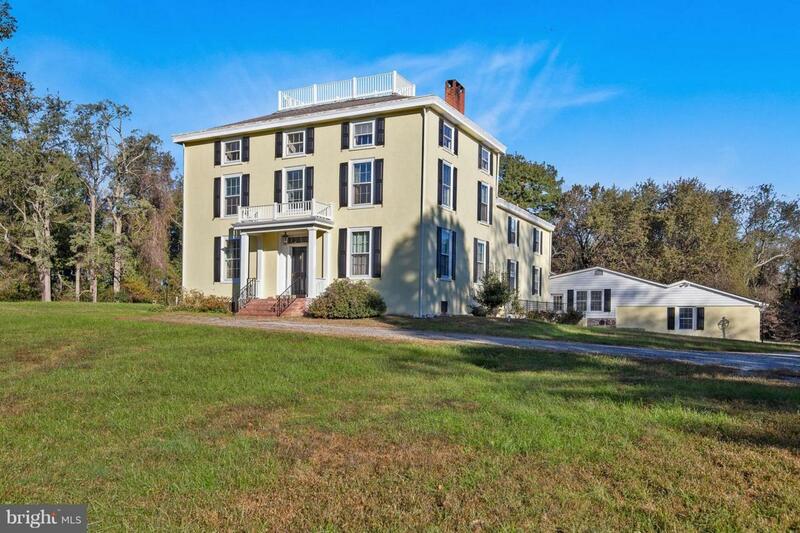 135 Kemp Lane, ELKTON, MD 21921 (#MDCC134942) :: Eng Garcia Grant & Co.
Gen. George Washington watched British General Howe's fleet of 17,000 troops sail up the Elk River from this house in 1777 and the home dates back to 1740. This beautiful Federal style 3-level home is situated amidst 19+ acres of a mostly wooded property with views for miles and miles. Updates include duct work and the addition of central air conditioning - picture window in breakfast area - exterior paint and shutters and a new well. The 4,000+ sqft. of finished living area showcases the charm and beauty of gorgeous hardwood flooring, deep window ledges, thick baseboard and so much more that needs to be seen to appreciate. *horse barn on property included as is. Exclusions Personal Property Furniture Etc. Inclusions All Appliances included As is. Listing courtesy of Bhhs Fox & Roach-Newark.